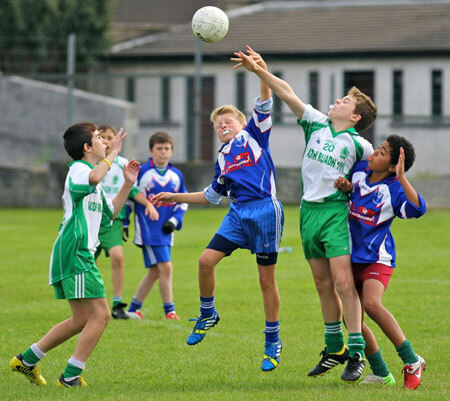 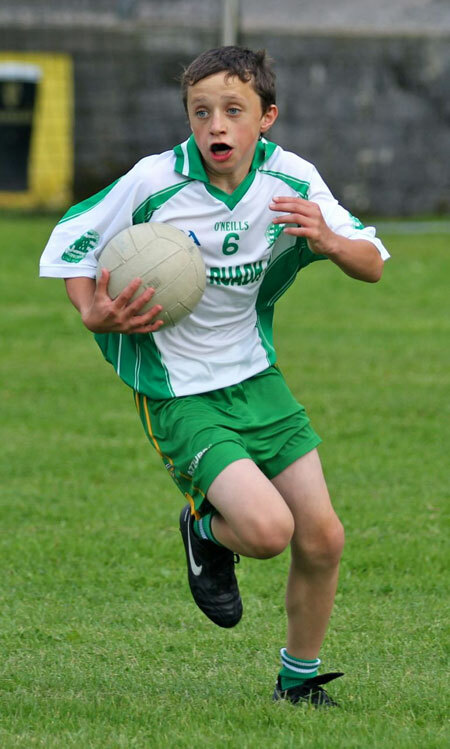 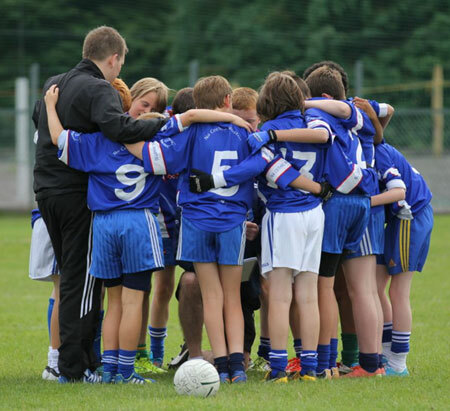 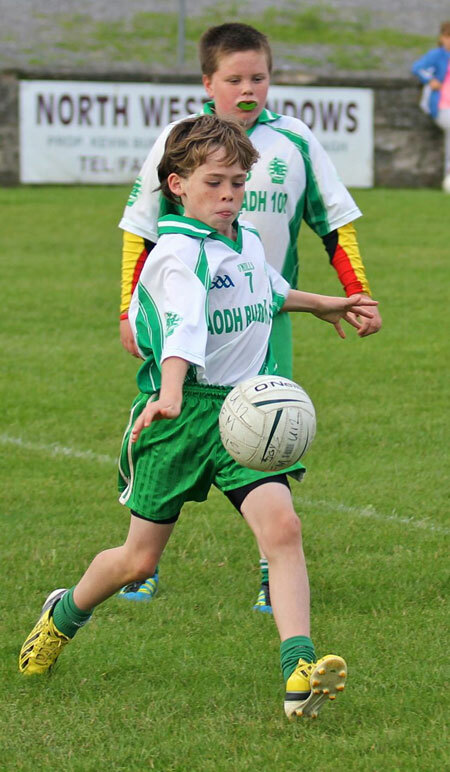 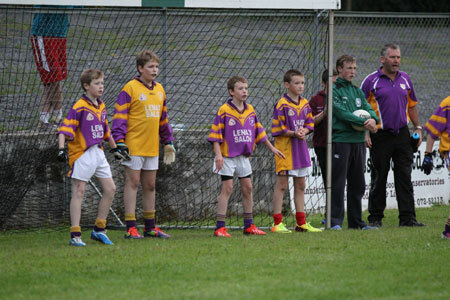 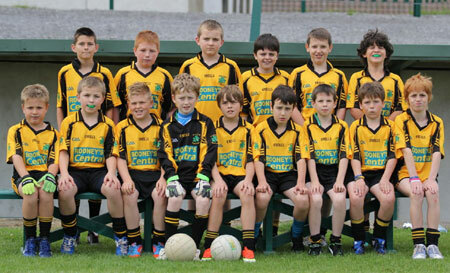 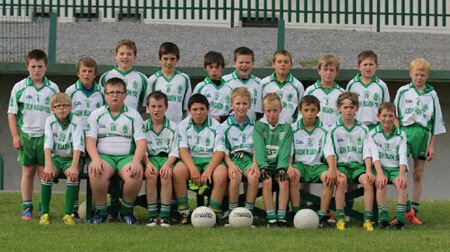 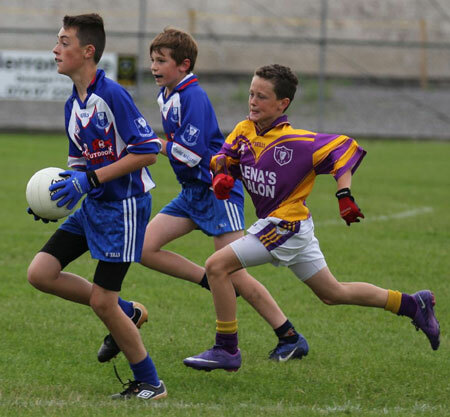 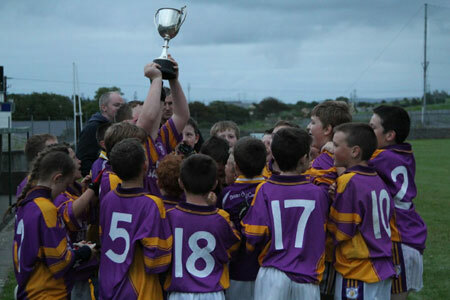 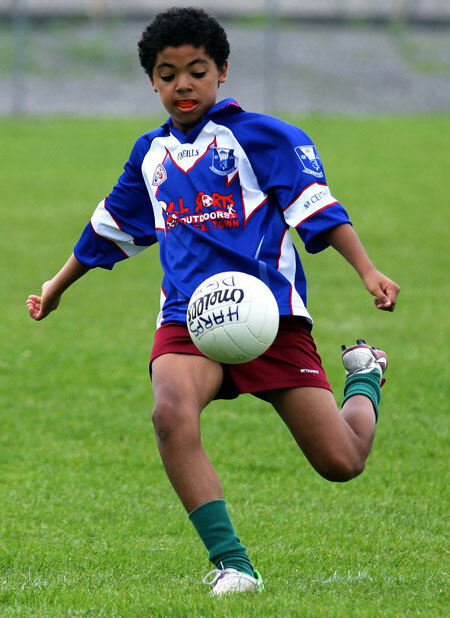 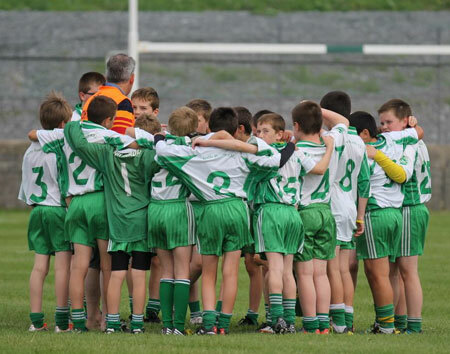 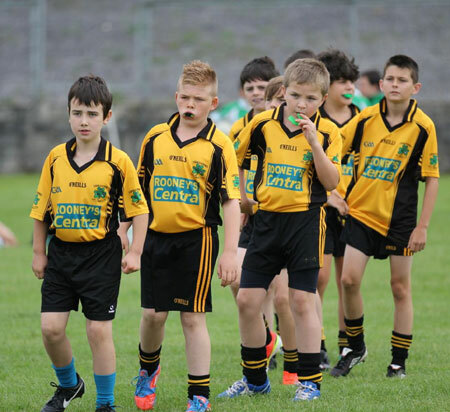 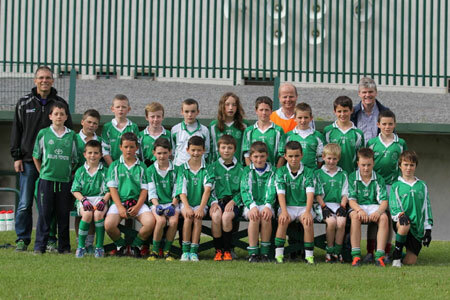 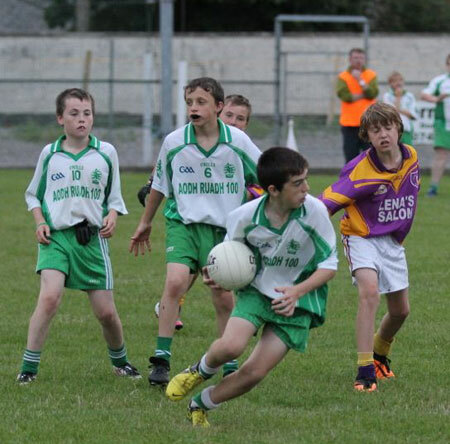 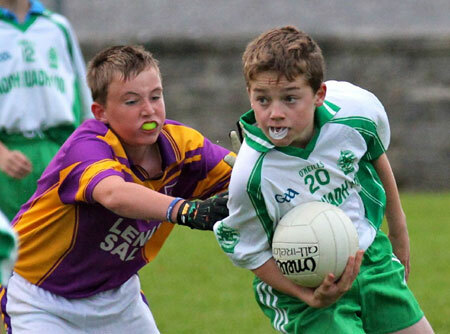 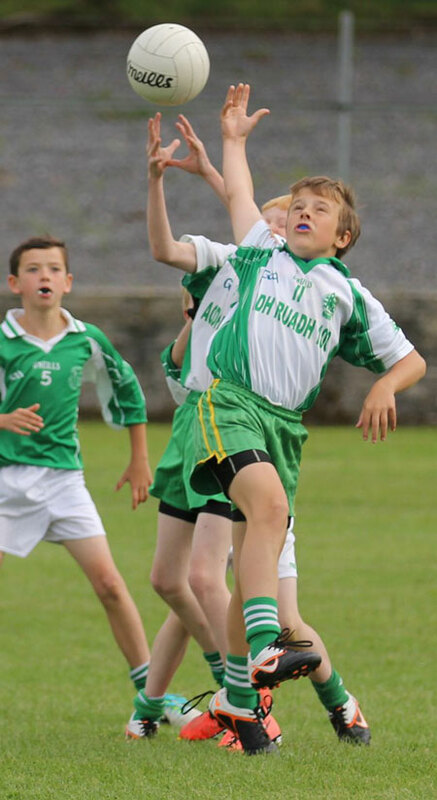 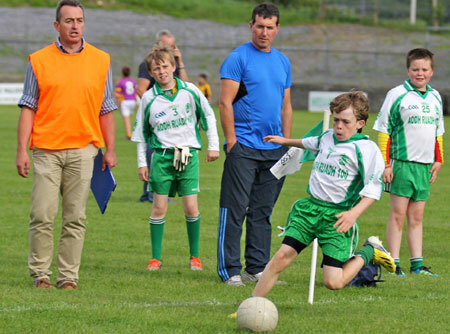 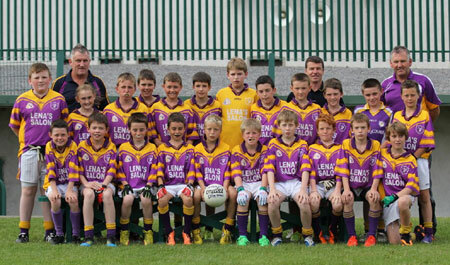 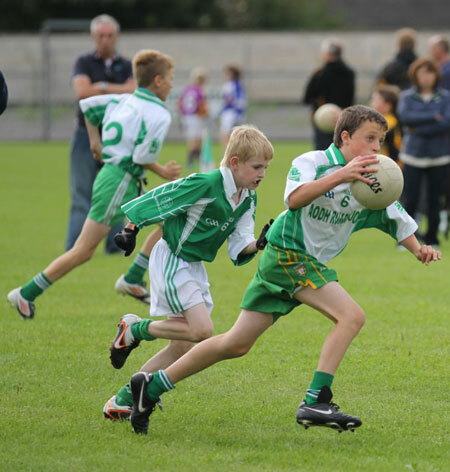 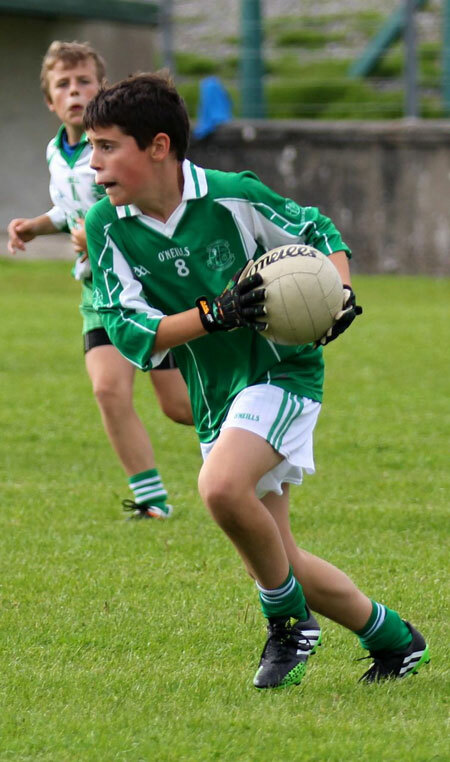 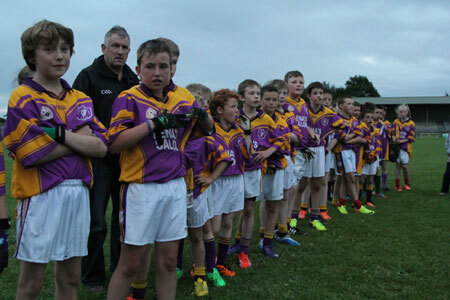 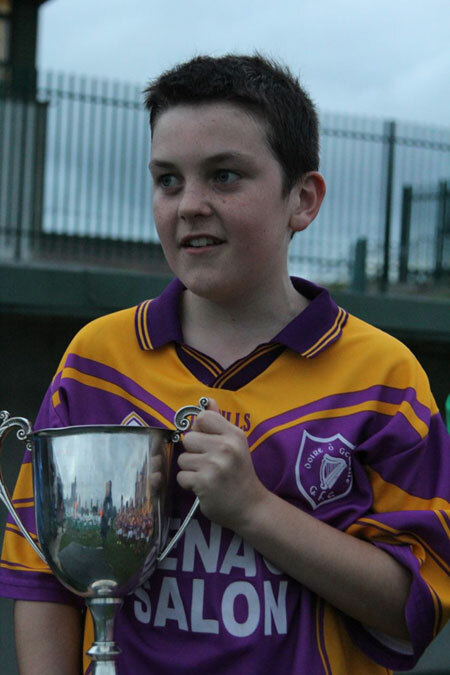 Aodh Ruadh hosted the annual Willie Rogers under 12 tournament on Friday as part of the Ballyshannon 400 celebrations. 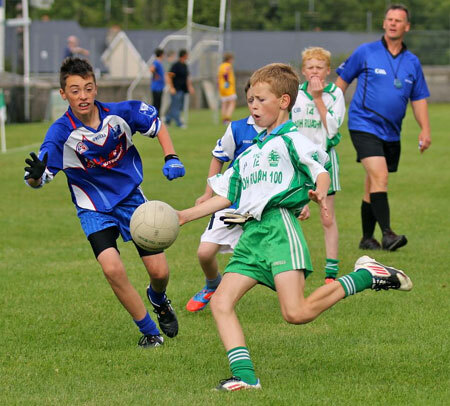 It was a hotly contested competition, favoured with good weather on the day, with teams from Aodh Ruadh, Four Masters, Derrygonnelly Harps, Saint Naul's and Erne Gaels taking part. 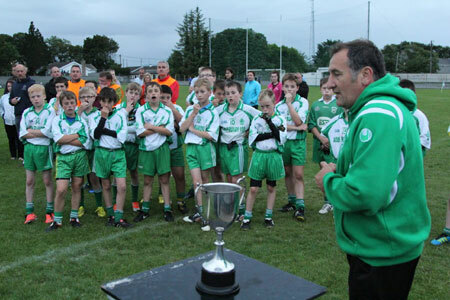 There was a magnificent support in Father Tierney park, and not just from Ballyshannon. 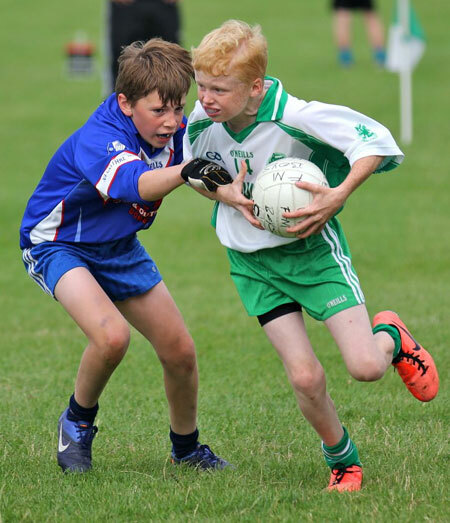 The round robin stages saw a lot of good football played, but Derrygonnelly were in fine form and booked their place in the final with four straight wins. 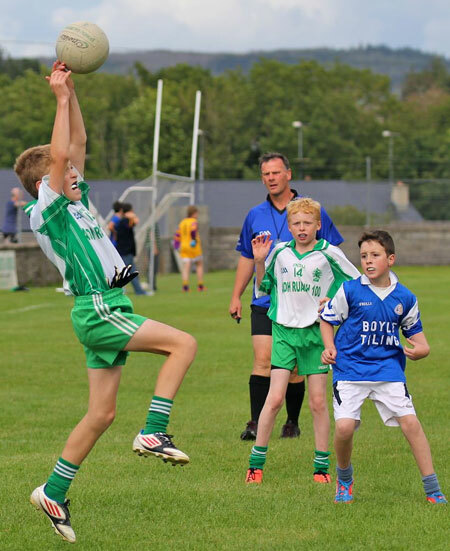 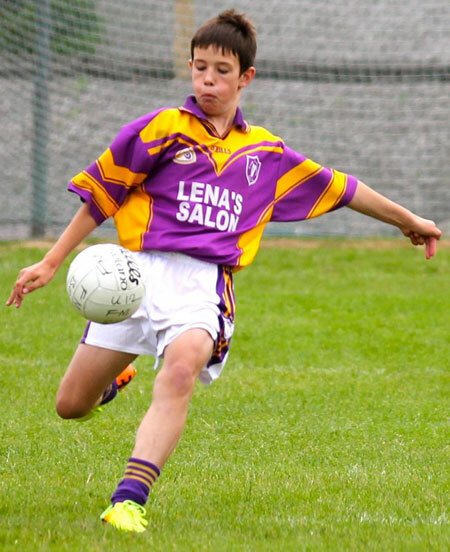 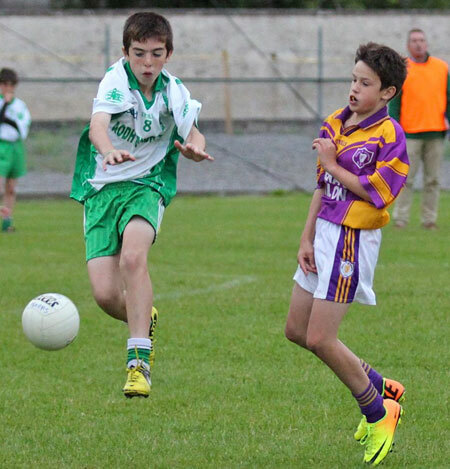 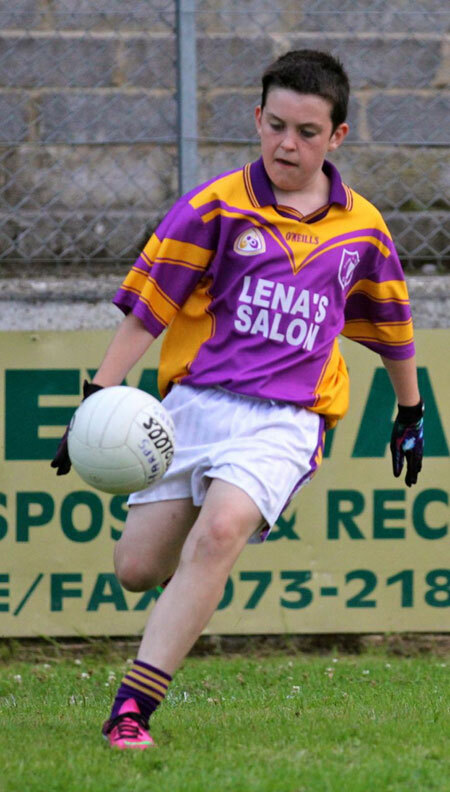 Their opponents in the final were Aodh Ruadh who recorded three wins in the league phase. 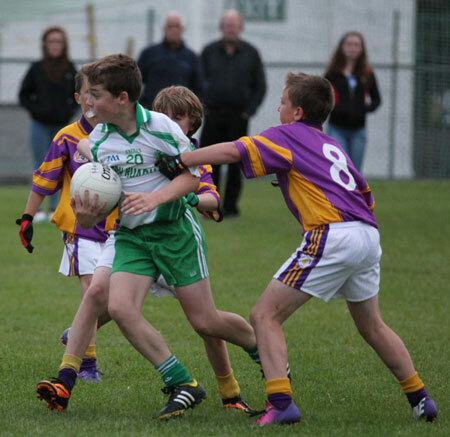 The Ernesiders only loss was to the Harps who won on a scoreline of 6-6 to 3-3. 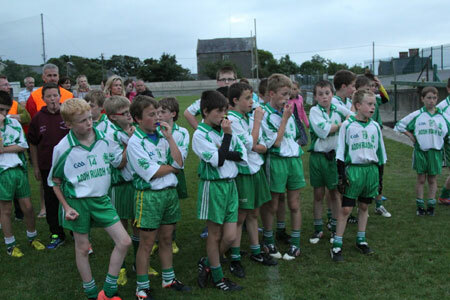 Given the round robin result Derrygonnelly were favourites for the final. 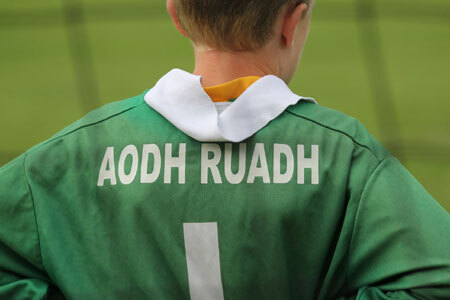 Aodh Ruadh hadn't read that particular script though, and delivered a passionate committed display of football which almost saw them seal the silverware in normal time. 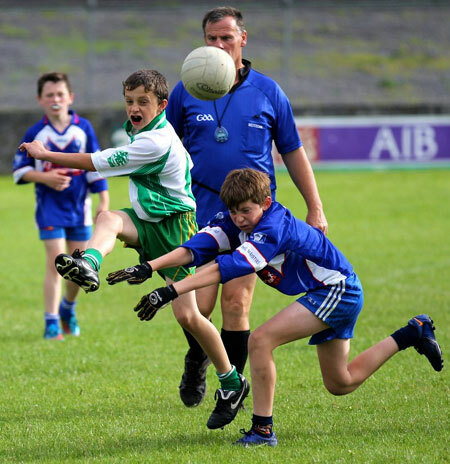 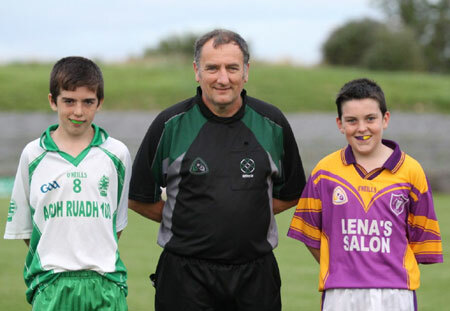 However Derrygonnelly battled every bit as hard and the sides could not be separated before Shane Toolan's long whistle. 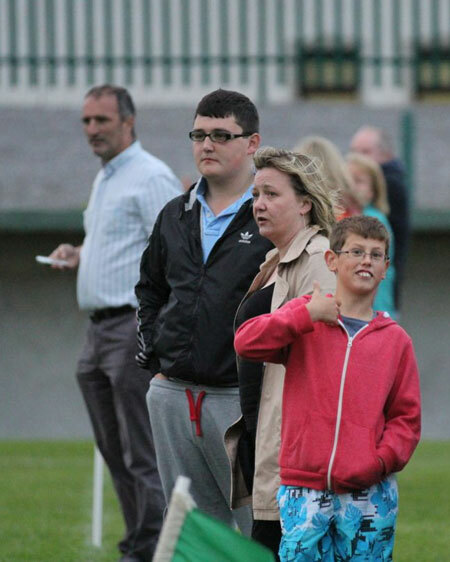 Five minutes of extra time were played and Ballyshannon started hard, hitting the visitors for two points. 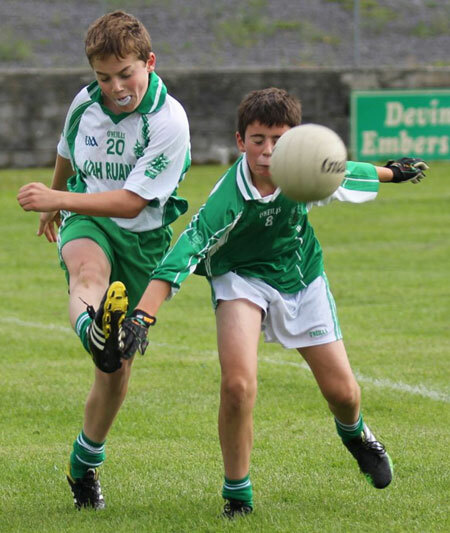 The Fermanagh men took over from that point and responded with four unanswered points to take a two point lead into the dying seconds of the game. 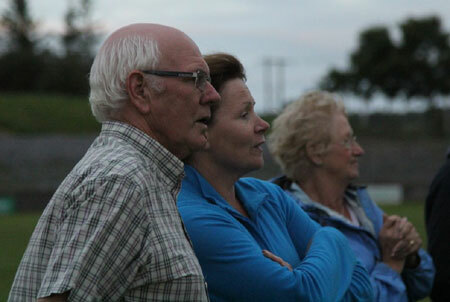 There was still time for one more moment of high drama though. 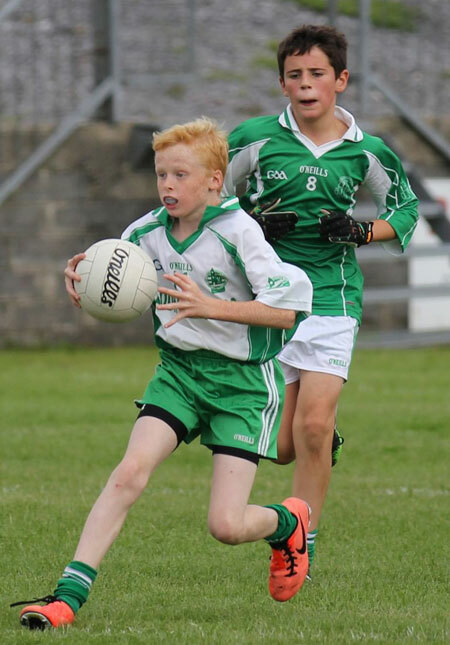 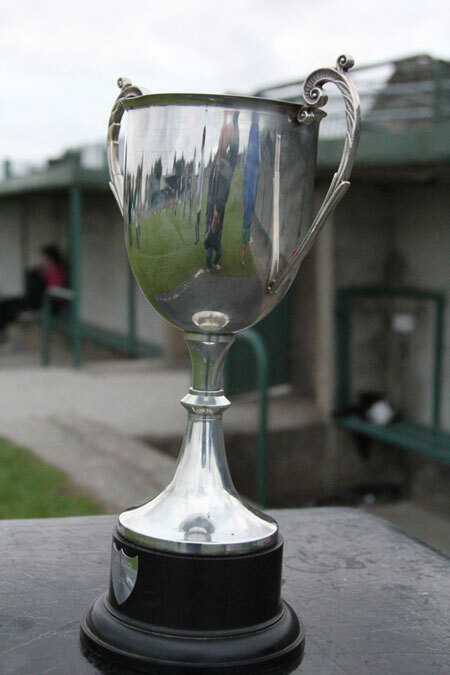 Aodh Ruadh had a last gasp shot on goal which would have won the game, but the Derrygonnelly keeper made a fantastic save to ensure the Willie Rogers trophy would be on its way back over the mountain on Friday evening. 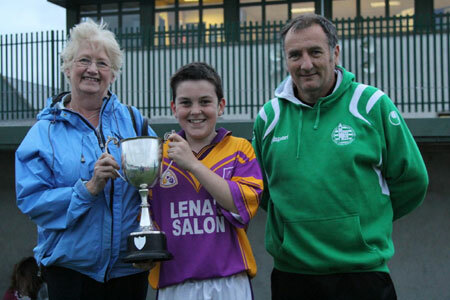 The club were delighted to have Willie's wife, Rene Rogers and son Gavin Rogers both on hand to present the trophy and medals to the winners and runners-up after the final. 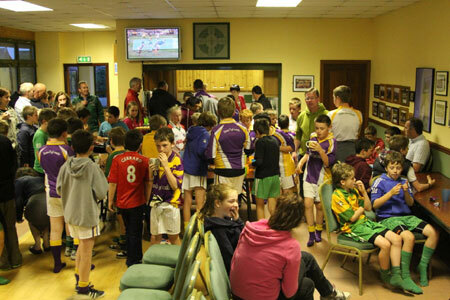 Thanks to the great support which showed up on the day and especially all those who contributed on the catering front to a great spread of food. 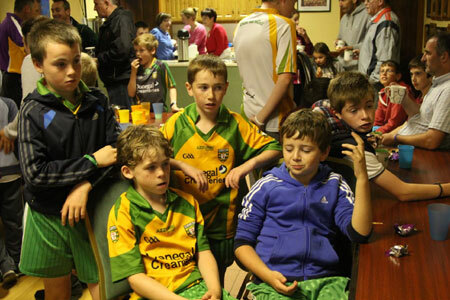 The audio-visual presentation of club history, which was also hosted in Aras Aoidh Ruaidh over the course of the evening, helped add to the sense of occasion.